After receiving his medical education from one of the oldest and most renowned medical schools, Kasr El-Aini Faculty of medicine, Cairo Egypt Dr. Nasr then continued on his residency and double fellowships in the US, during which time he published multiple papers. He completed a prelieminary year of surgical residency then a primary residency at SUNY Stony Brook in New York, where he was elected Chief Resident. Next, he went on to finish the first of two fellowship in spine intervention at Cedars-Sinai Medical Center Institute for Spinal Disorders in Los Angeles, California. 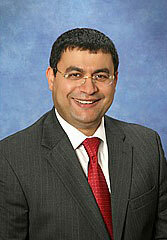 That was then followed by a second fellowship in Pain Management at the University of Pittsburgh Medical Center Department of Anesthesia in Pittsburgh Pennsylvania, Dr. Nasr is double board-certified with the American Board of Physical Medicine and Rehabilitation with a board subspecialty in Pain Medicine, After finishing his second fellowship, Dr. Nasr and his family now reside in Visalia, California. His hobbies include fixing up old cars, playing squash, and playing golf. 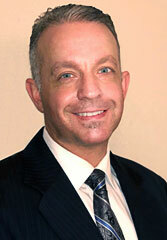 Dr. Barreto is double board certified in Physical Medicine and Rehabilitation (PM&R) as well as Pain Medicine. He attended medical school at Loma Linda University, in southern California. Drawn by their focus on whole person care and an exceptional learning environment, Dr. Barreto remained at Loma Linda for Residency in PM&R and for Fellowship training in Pain Management. After completing Residency and Fellowship, he accepted an academic position at the Loma Linda VA Hospital, affording him the opportunity to teach PM&R Residents and Pain Fellows the intricacies of treating chronic painful conditions. Dr. Barreto holds a Bachelors degree in Psychology, which continues to be an invaluable asset when assisting people with the many psychological challenges that accompany chronic pain. Having worked as a medical director and CEO of various peer review companies, Dr. Barreto is proficient at navigating the tumultuous landscape of our current insurance systems. After working in Orange County for nine years, he is excited to be back in Central California, where he originally grew up. In his free time, Dr. Barreto enjoys traveling, mountain biking, and spending time with family. 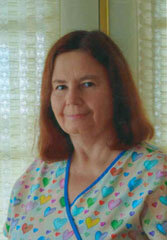 Mrs. Jennifer Davis R.N., W.H.N.P.-C has been working for the past 19 years as a Nurse Practitioner. Jennifer obtained her Nurse Practitioner Certification from an extension program affiliated with University of California at San Francisco in 1996 after graduating from College of the Sequoias with an Associates Degree in the Registered Nurse Program. Jennifer was a registered nurse for 17 years at Visalia Community hospital, then once obtaining her Nurse Practitioners Certificate worked in Family Practice and Women's Health settings in Hanford, CA and Visalia, CA until she had a desire to expand her knowledge and skill in spine intervention and interventional pain management. Jennifer is married with 2 grown children and in her spare time she likes to garden, listen to music and play with her dog.